Roger Federer returns to court "refueled" in Dubai this week after having not played since he won the Australian Open, his first tour event since being sidelined with knee problems for more than half a season. The record 18-time grand slam winner is gunning for an eighth title in Dubai as the tournament celebrates its 25th anniversary. 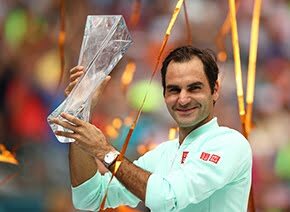 Four weeks on from his incredible five-set victory over Rafael Nadal in the Melbourne final, Federer says he’s ready to step back on the court even though he only just got the all-clear for an inner thigh problem that bothered him during the Australian Open. “Mentally I’m super-fresh again. I think I refueled the energy tank, on the mental side, being home, spending time with the family, being in the winter in the mountains in Switzerland. 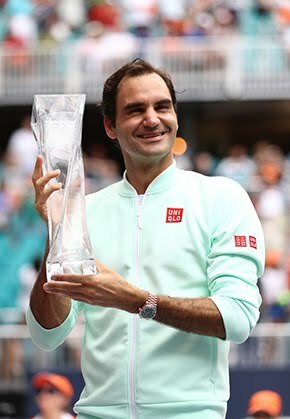 It was beautiful to be home in my own house and just enjoy that part,” Federer said. But the World No. 9 acknowledged that he was not starting the tournament in top shape, with a leg injury having delayed his return to training. An MRI following the tournament revealed some damage, but another done a week ago indicated improvement. Federer, having recently said he had not yet begun doing full practices again, is now ramping up. Federer opens his Dubai campaign against Frenchman Benoit Paire and has been drawn in the same half as top-seeded Andy Murray. Number two seed Stan Wawrinka is in other side of the draw.